When you replace a burned out bulb with a new one in your refrigerator and the light still does not come on, it might be necessary to replace the socket. Few things can go wrong with a light bulb socket, however they do wear out over time. Replacement sockets are available through manufacturer's websites and appliance repair centers. 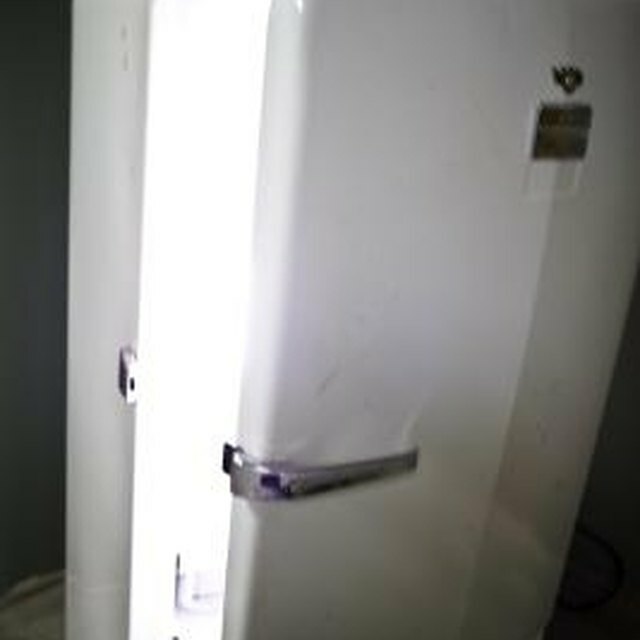 Replacing a light socket in a refrigerator depends on how it attaches. There are three different ways the socket may secure to the refrigerator, but the average homeowner can handle this task. Unplug the refrigerator power cord from the outlet. Open the refrigerator door and remove the contents off the top shelf. Unscrew the light bulb from the socket with your fingers and place it on a towel out of the way. Look at the light socket for a screw. If there is a screw, it is usually near the back of the socket. Remove the screw with a Phillips-head screwdriver. Pull the socket straight down. If there is no screw, look for small tabs on two sides of the socket. Press the tabs in with your fingers and pull the socket straight down. Some models use a socket that twists into tabs. Grab the socket and turn counterclockwise to unhook it from the refrigerator. Grab the ends of the two wires where they connect to the socket terminals with a pair of needle-nose pliers. Pull the wires away from the socket and remove the socket completely from the refrigerator. Slide the wire ends over the terminal spades of the new socket. There are only two wires, and it does not matter which one goes to which terminal. They simply complete a circuit. Install the new socket in the reverse order your old one came off. If yours has a screw, ensure that you do not overtighten the screw. Screw the light bulb into the socket and plug the refrigerator power cord into the wall socket.